Wear Calandra Boho Necklace to lend ethnic charm to your look. 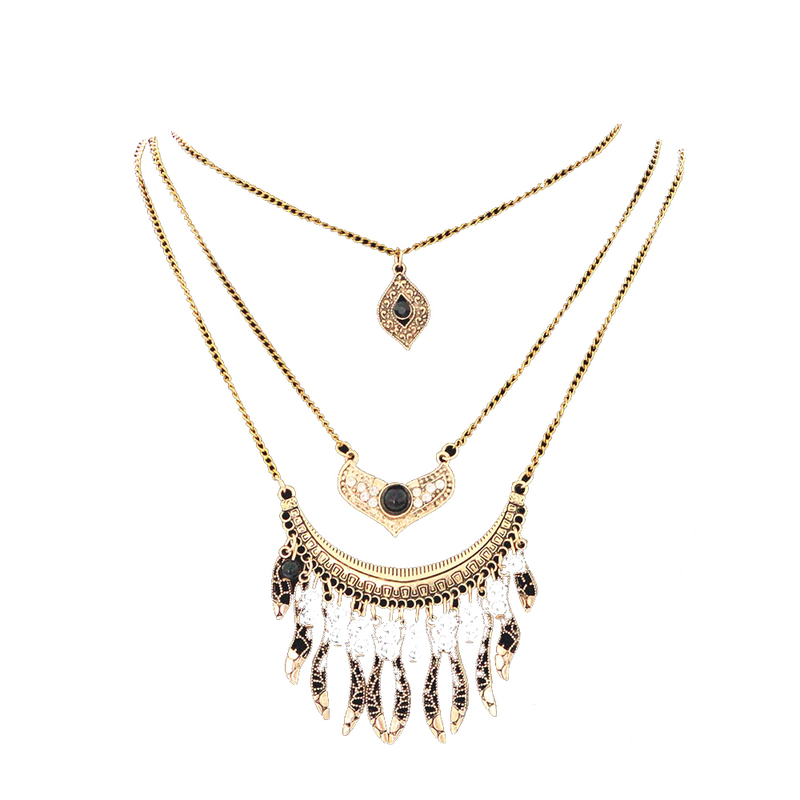 The multistrand chain is fashioned with black gems and fringe detailing. Spice up your favourite outfit with this lovely necklace from Australia’s fast growing online jewellery store.